About 5,600 students are scheduled to earn their degrees this spring during commencement ceremonies Thursday-Saturday, May 12-14, at College Park Center. 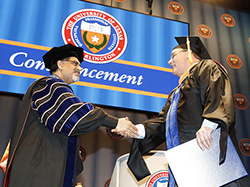 The UTA Class of 2016 includes more than 3,753 undergraduates and nearly 1,754 master’s students. More than 100 students will receive doctoral degrees during commencement weekend. Look for some popular and new parking options coming to campus this fall. Returning are daily, weekly, monthly, and semester options and discounted remote parking with more shuttles to get you to class or work. Find all your parking news on the Parking and Transportation Services website. 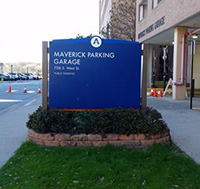 The Maverick Parking Garage now has a $10 cap for daily fees. Rates are $3 per hour and $1.50 per half-hour with a $10 maximum per day. Use the new parking meters or the MobileNOW! app on your smartphone with location code 3708. Preferred and reserved parking permits also will be available to purchase after garage refurbishing is completed this summer. Permits purchased for this garage are not valid in any UTA parking lot. Check for updates on the Parking and Transportation Services website. Students are invited to attend the Office of Emergency Management's annual Clery Act tabletop exercise 3:30-4:30 p.m. Thursday, May 19, in the Rio Grande Room of the E.H. Hereford University Center. The exercise will focus on a discussion about emergency notification, the shelter-in-place process, and evacuation on a campus-wide scale. Key officials, internal and external, will participate in the discussion. 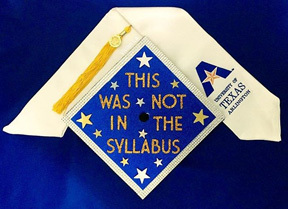 Through Facebook, Twitter, and other other social media sites, UTA’s 2016 graduates are sharing their commencement experiences. See some of the photos. 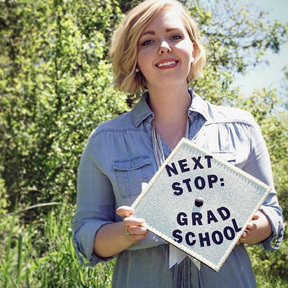 Add your own story with #MavGrad2016. Watch videos about spring grads. To allow for an upgrade of the water and sewer lines, Facilities Management will close South Nedderman Drive from Cooper Street to Planetarium Place at noon on Friday, May 13, for an indefinite time period. Share your opinions with UTA Libraries in a simple, anonymous, and confidential survey. In exchange for your ideas and opinions about the Libraries' products and services, you have a chance at winning one of five $100 prizes when you opt in to the grand prize giveaway. Complete the survey. Questions or comments? Email utalibqual@listserv.uta.edu. Final exams are underway and continue through Friday, May 13. See the full final exam schedule online. Summer intersession and the 14-week summer session begin Wednesday, May 18. Class dates are online. To register for classes in these sessions, select the term 2165 on the schedule of classes and click on the Additional Search Criteria link on the lower left. Each summer session has its own payment due date. For details, visit the Student Financial Services website. The MyMav schedule of classes is being updated daily. Plan to validate your course selections. Commencement Ceremonies The Class of 2016 graduates. Tickets required. Thursday, May 12, 7 p.m., College of Nursing and Health Innovation. Friday, May 13, 11 a.m., College of Architecture, Planning and Public Affairs/School of Social Work/University College; 3 p.m., College of Science; 7 p.m., College of Liberal Arts. Saturday, May 14, 11 a.m., College of Business; 3 p.m., College of Engineering; 7 p.m., College of Education. All at College Park Center. Commencement. MavsArt Enjoy the art of UTA faculty, staff, and students. See the online gallery. Free. Second floor, Central Library. Through May 13. UTA Libraries. The Gallery at UTA: Bachelor of Fine Arts Exhibition Works by 44 graduating art students, including drawing, sculpture, glass, printmaking, film/video, photography/digital imaging, and visual communication design. 5-7 p.m., The Gallery at UTA, Fine Arts Building. Through May 14. Art and Art History. CPR/AED/First Aid Class A single, five-hour class covering the American Red Cross first aid basics, medical and environmental emergencies, adult CPR, and AED use. Registration at MAC Services and Information desk. $50. 10 a.m.-3 p.m., Room 223, Maverick Activities Center. Campus Recreation. Down and dirty: Both offense and defense can be dirty jobs in Maverick baseball and softball. From top are Krista Rude, Joni Hanke, and Cody Farrell. UTA men's tennis faces No. 11-seed Oklahoma at 4 p.m. Friday, May 13, in the first round of the regional NCAA Men's Tennis Tournament in Norman, Okla. The winner will face either Tulsa or Oregan at 1 p.m. Saturday, May 14. Regional winners advance to the Case Tennis Center in Tulsa, Okla., where the 16 teams will compete for the national championship Saturday-Tuesday, May 20-24. See the bracket. Maverick baseball plays at Appalachian State beginning Friday, May 13, after playing Arkansas-Little Rock last weekend. The team is 25-24 overall and 11-13 in league play. The team plays Texas State Friday-Sunday, May 19-21, at Clay Gould Ballpark before the Sun Belt Conference Championship Wednesday-Sunday, May 24-28, in San Marcos. 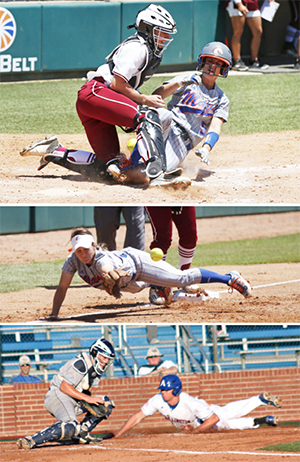 UTA softball is ranked seventh going into the Sun Belt Conference Championship in Mobile, Ala. The Mavericks play No. 6 Troy at 12:30 p.m. Wednesday, May 11. The winner will play No. 3 Texas State at 5:30. Read more. The men's and women's track and field teams head to Lafayette, La., for the Sun Belt Conference Championships Friday-Sunday, May 13-15.